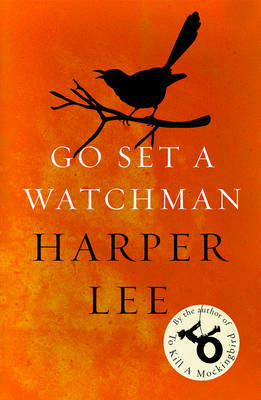 When Go Set A Watchman published last year, Harper Lee was the most talked-about writer in the English-speaking world. Lee’s Pulitzer prize-winning novel To Kill A Mockingbird is a beloved American classic; the publication of its sequel was one of the most significant literary events of the 21st Century. A darker and more mature work, Go Set A Watchman opens as a twenty-six-year-old Scout returns to Maycomb from her new home in New York City. As brave and as wilful as she was twenty years before, Scout must confront narrow local attitudes; in doing do she must also reassess her own concepts of loyalty and love. Maycomb reveals itself to be a very different place to the one Scout knew as a child. As a result of this, the book has sparked much debate. All the discussion has proved however is that in Maycomb, Harper Lee created a world important to millions of us. Just hover over the book icons to reveal the special Go Set A Watchman content. The map was designed by Stuart Hill, an illustrator who specialises in editorial illustration, typography and map-making. Maycomb, Alabama. Twenty-six-year-old Jean Louise Finch - 'Scout' - returns home from New York City to visit her ageing father, Atticus. Set against the backdrop of the civil rights tensions and political turmoil that were transforming the South, Jean Louise's homecoming turns bittersweet when she learns disturbing truths about her family. Win a retro Lomography camera!